Consistency is critical to keeping fresh new reviews, consumers put more trust in recent reviews. Maloney Plastic Surgery was doing well but there was plenty of room for improvement. They already had over a hundred reviews but were able to add another 107 reviews within a year. That’s an increase of 85% while maintaining their high star rating. If there are 2000 keyword searches per month for your business, that means 24,000 potential customers per year comparing your ratings to your competitors. The reviews that were previously being left were largely from people complaining about having to perform drug tests, not the quality of service they received. People who are upset are among the most motivated to leave reviews and often it’s the result of a misunderstanding or something completely unrelated to your business. 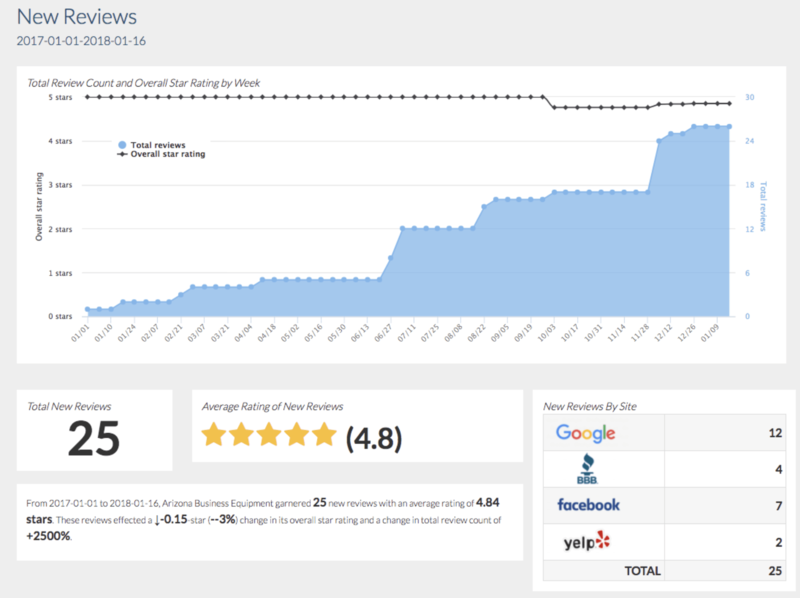 Particularly note the increase in reviews for BBB, Facebook and Google which carry the higher authority ratings. There is also a Yelp! review which is difficult to achieve because they only show up when a reviewer has five or more reviews per their current rules. The reviews for Chef Chic barely existed prior to using ReviewLead but within a year she had 26 reviews. Depending on your industry, customer volume and other factors, reviews may come in slower but steady consistence pays off. As Wendy’s big win illustrates, that 5 star review can make the difference between getting a big contract and getting lost in the crowd. 64 five star reviews within the first month! In business for 73 years, they had only accumulated 41 reviews. Within 3 months, they had a total of 176 reviews! That’s an increase of over four hundred percent. John and his staff were initially skeptical about what ReviewLead could do for their practice. Within approximately a month, they had 46 new five star reviews and their doubts were put to rest. They had a ZERO online review rating before using ReviewLead. Within 6 months, they had 28 new reviews and an average rating of 4.96 stars! What kind of an edge do you think this gives them against their competitors? 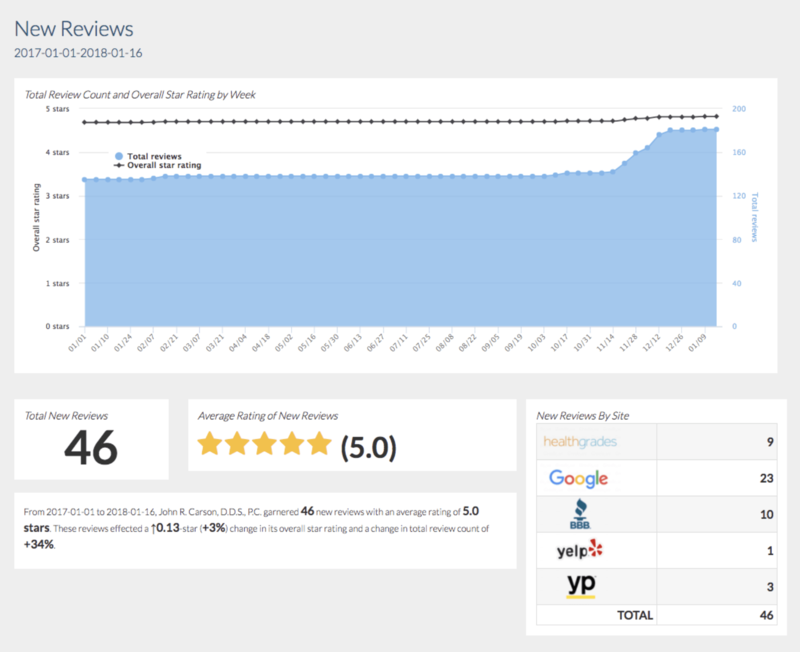 64 reviews within one month! She already had a good rating with several reviews but she was tired of constantly asking her staff to request reviews. With ReviewLead, she was able to get even more reviews with no stress and minimal effort. Many of her reviews were also from a prior year and she knew the value of frequent, recent and consistent reviews. Their online reviews were nonexistent prior to using ReviewLead. Within a year, they had 25 new reviews and an average rating of 4.8 stars! Not only do they stand out from their competitors but they are now more insulated from a potential bad review drastically impacting their overall rating.